Today's topic is always a fun one. What have you read outside your comfort zone this year? Don't forget to link up down at the bottom of this post, and visit the other cohostesses with the mostest: Tamara from TravelingWithT.com and Tanya Patrice from Girlxoxo.com! I feel like my comfort zone is pretty big. A comfort stadium, if you will. I can't think of much I just won't try, but there are definitely some genres I explored this year that are lesser-explored for me in a typical year. #GIRLBOSS by Sophia Amoruso is the true story of a very unlikely entrepreneur. She kind of fell into an online vintage clothing business that blew up in a big way...into Nasty Gal, an online designer retailer. I enjoyed this one way more than I anticipated that I would. 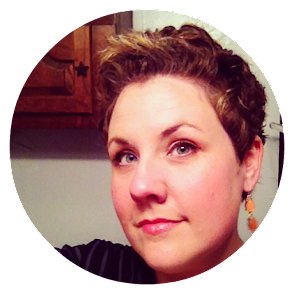 Check out my review: "Recognize Your Inner Badass." Magic Bites by Ilona Andrews came up in a Twitter conversation about fierce female characters. It's an urban fantasy novel about a slayer of sorts. That's very Buffy of me, and that's not the vibe of the book, but it's also the most succinct way I can think to describe Kate Daniels and her profession. Unfortunately, I DNFed this one about 100 pages in. I don't think I was in the mood for the slow burn of world building, but I may circle back and give this one another try. 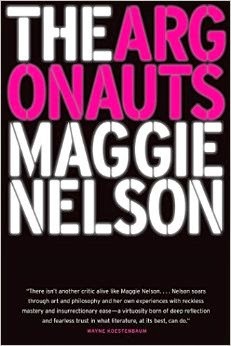 The Argonauts by Maggie Nelson is a memoir examining gender, relationships, parenthood, and there's a lot of gender theory thrown in. I definitely appreciated this one, and I feel that if I'd read it close to graduate school (when I had more theorists and philosophers in my head), I would've gleaned more from it. However, I did really enjoy the more personal anecdotes. Spider-Gwen #1-2 by Jason Latour and Robbi Rodriguez was just "meh" for me. I picked it up because of some Panels discussions in the back channel, and while I did take some time to get myself acquainted with the Spiderverse (so many universes), ultimately this one didn't hold my attention. The art was great, but the story was short on oomphf. The Hen Who Dreamed She Could Fly by Sun-Mi Hwang was a total surprise. I read it early in the year, and I enjoyed it a lot more than I expected (a theme!). Stories that are written with a fable feel can be hit or miss for me, but this one was a big hit. Here are five reasons to read it. What has tested your comfort levels this year? I've heard such great things about The Argonauts and the hen book. Glad you enjoyed them both - and they'd both be out of my comfort zone as well! I haven't read any of these. The Hen book looks like something I'd like. Great list. I also have a stadium-sized comfort zone, but I am disappointed to discover that I managed not to leave it the entire year. It only would have taken one western, one mystery, or one romance (one of those without SFF elements that is), but I did not stray from any of my usual obsessions. Glad I noticed though, next year I will branch out, even if only once. #Girl Boss would be something I may read. 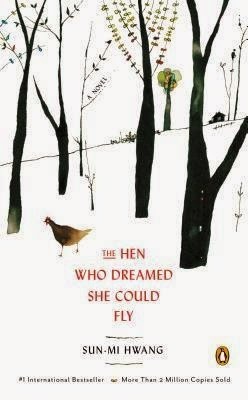 The Hen Who Dreamed She Could Fly sounds cute. I normally do not go out of my comfort zone, but I mentioned one book in my post. Argonauts is definitely going on my list. Gender theory is something we've been talking about a lot at my house - with grown-ups at a higher level and with the girls at their levels. Fantastic timing! The Argonauts is one I've been curious about. I really love the Kate Daniels series so I hope it works for you if you try it again. Oh those look sooo good, now I really want to read #Girlboss and the Maggie Nelson! I tried fantasy and YA this year, finally! Glad I did, new genres to explore. I read The Hen too. It was really different! 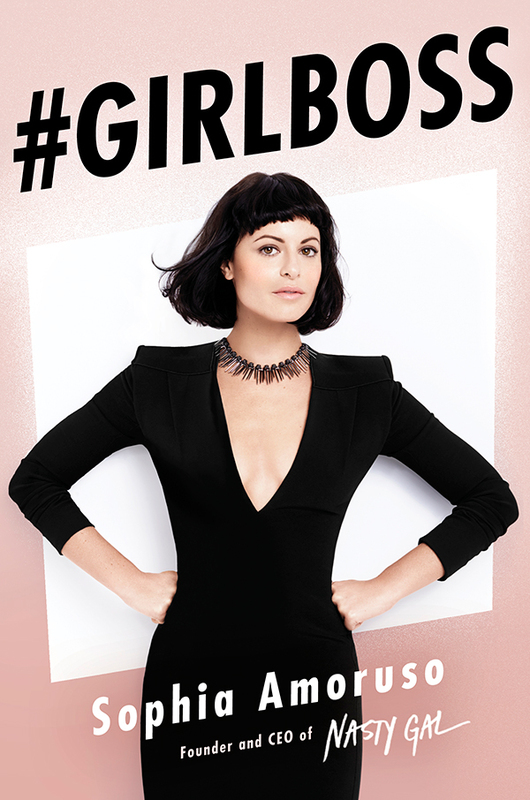 I think I might want to check out #GirlBoss- that cover!